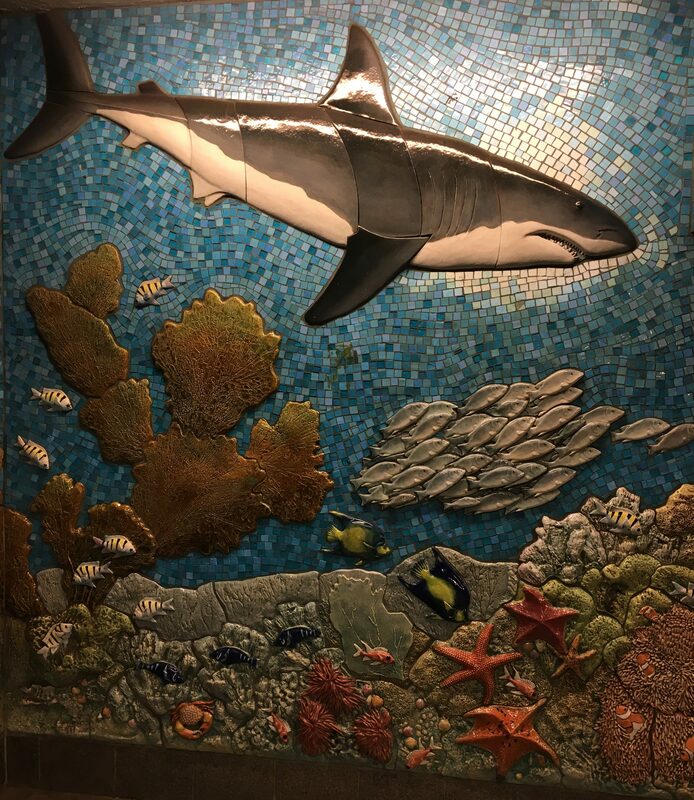 For Want of a Nail is an installation by the MTA Arts for Transit Design Team and the Museum of Natural History consisting of bronze, granite, ceramic and glass mosaic murals. The project represents a study of the evolution of life starting from the big bang to the present day. 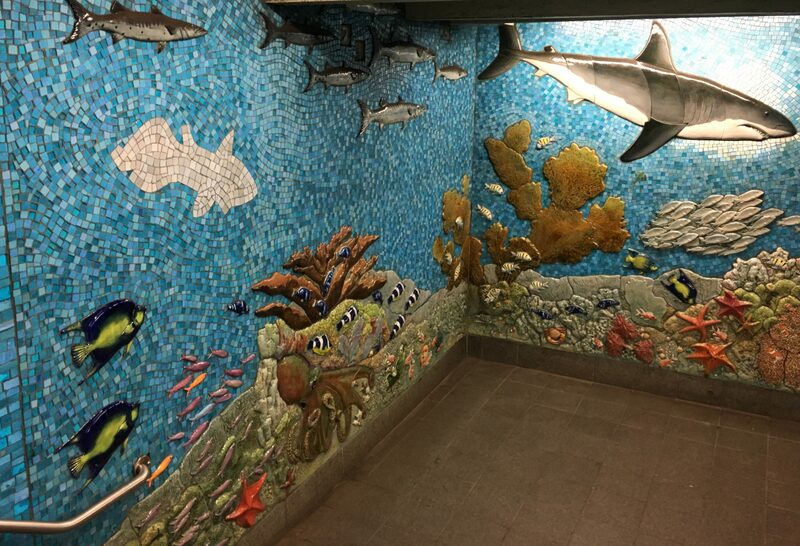 The southern stairway to the lower level, downtown C Train features a multi-wall ceramic tiel mosaic mural of vibrant ocean life forms. See more of the For Want of a Nail project at this post. 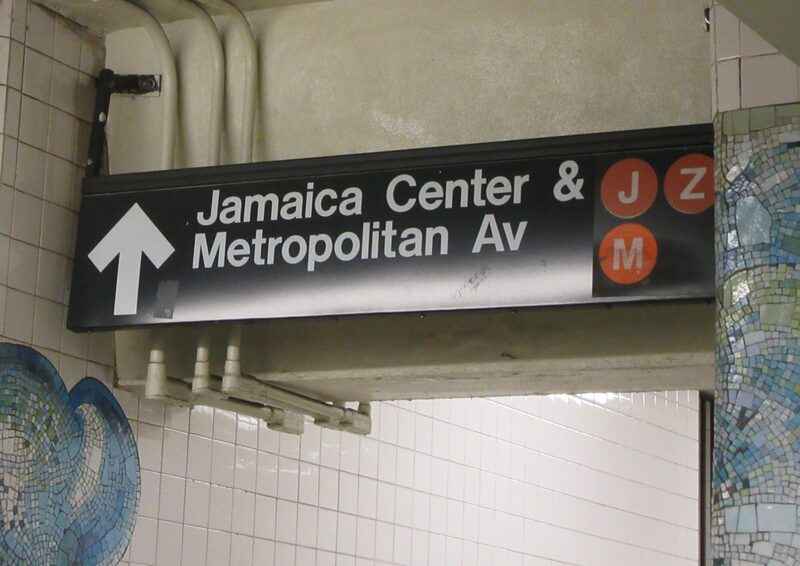 Shark Attack in the Subway! 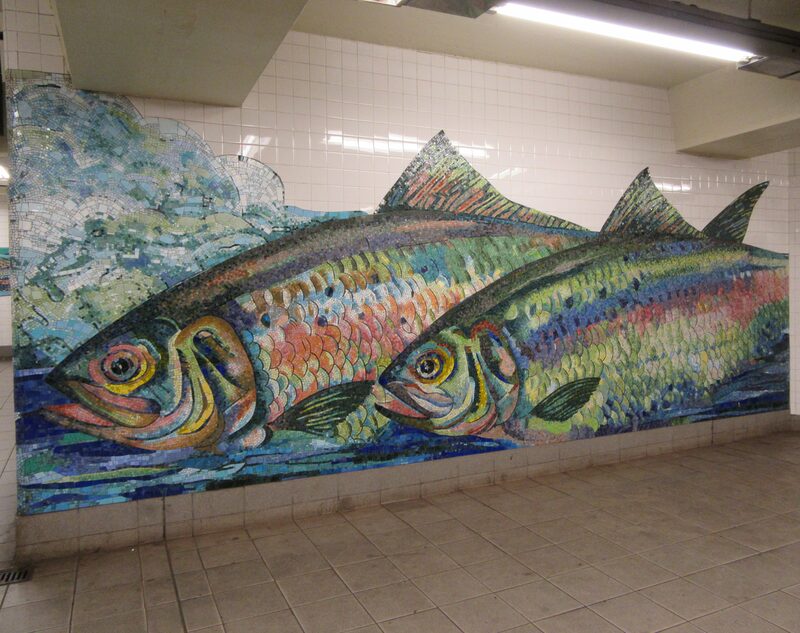 The Delancey and Essex Street Station is home to the J, M, Z, and F Trains, and also this colorful glass mosaic mural of two fish, which appear to be swimming on the surface of the water. Fun! 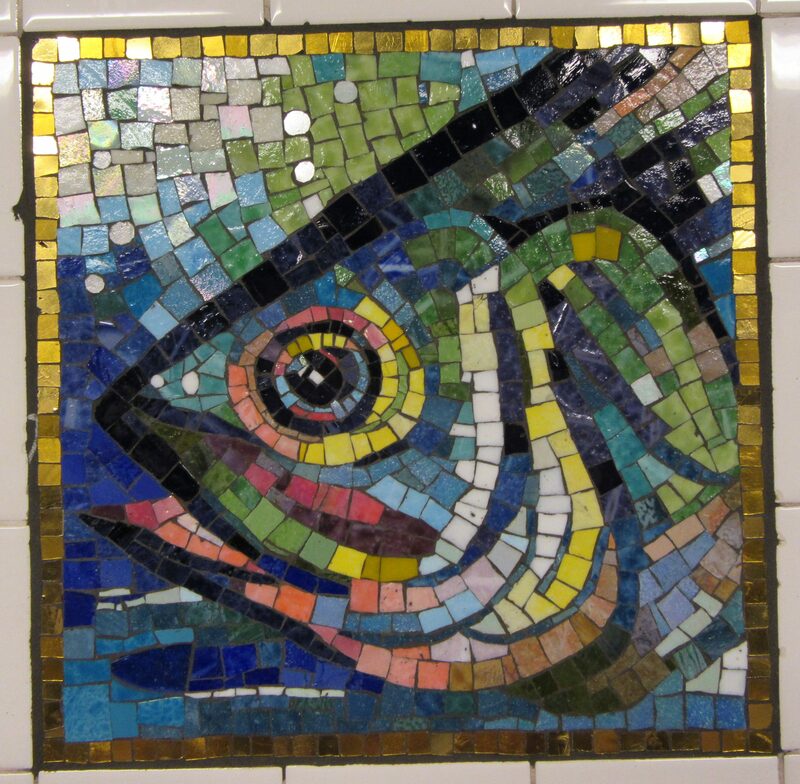 Glass mosaics on platform and mezzanine walls symbolizes the the liveliness of the once thriving fishing marketplace in this storied Lower East Side community. 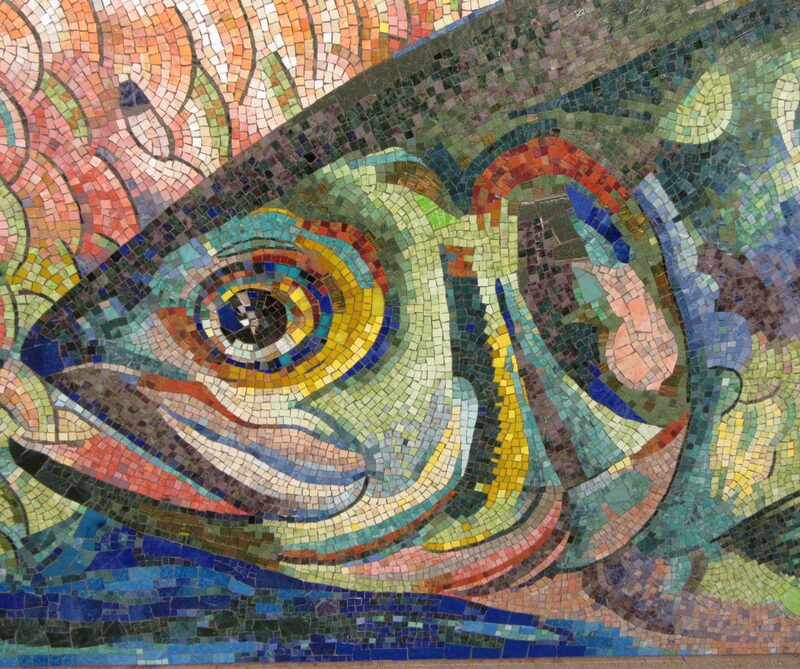 Aquatic images are a metaphor for “crossing” in a glass mosaic mural on the Brooklyn-bound platform, inspired by the prominent DeLancey family’s eighteenth century farm, which stretched from the East River to the Hudson River. 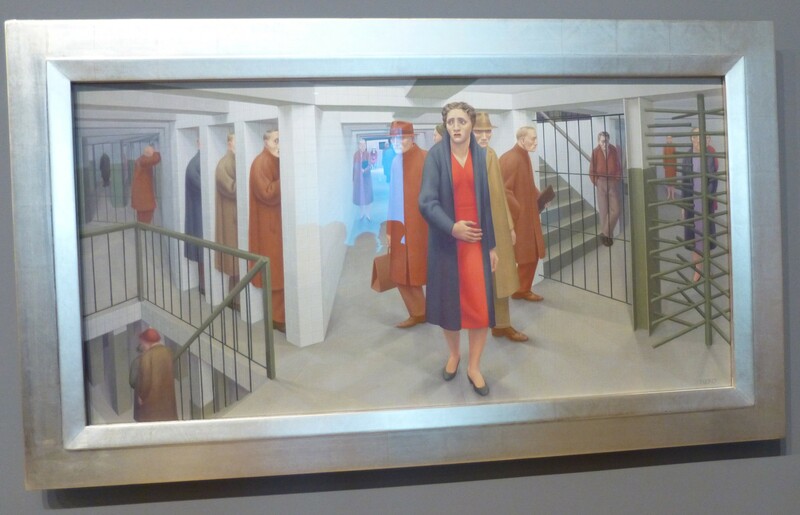 The farm’s cherry orchard was located where Orchard Street stands and is memorialized with radiant cherry trees on the Manhattan-bound platform. 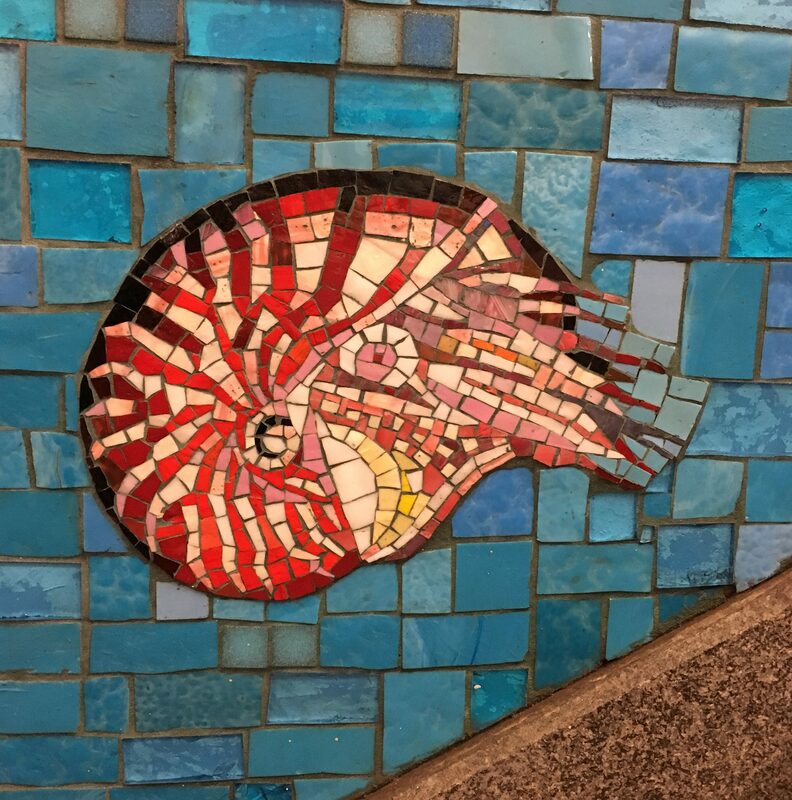 The larger mural is adjacent to this underground directive (above) , but on the platform for the Brooklyn Bound F, you will also find these small tile mosaic Fish Heads at random intervals along the wall. 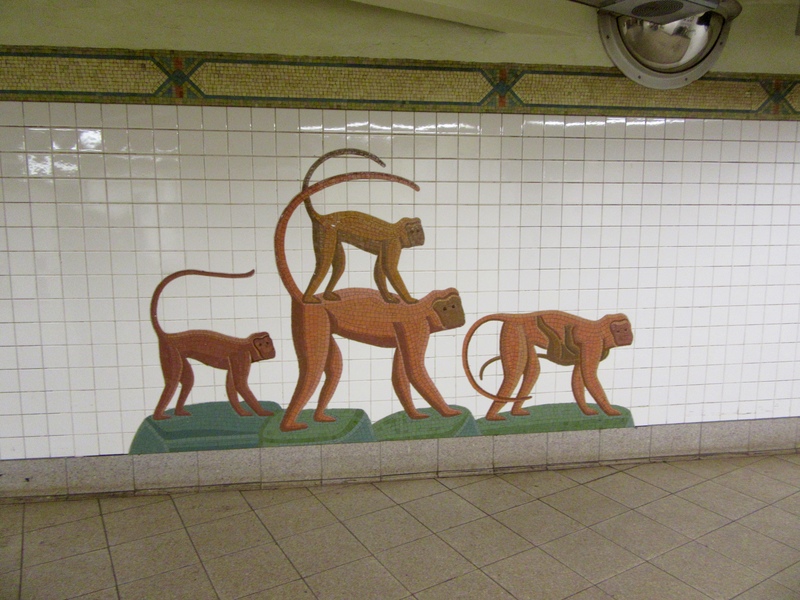 The 5th Avenue and 59th Street Subway Stop of the N, Q and R Trains lets you off just few blocks from the entrance to the Central Park Zoo, and you can enjoy a bit of urban safari even before you exit the station which features a collection of colorful tile mosaic murals of various animals that you might find in the zoo or in and around the park. Check out this family of monkeys! This is what I feel like at end of long and grueling week at the day gig. 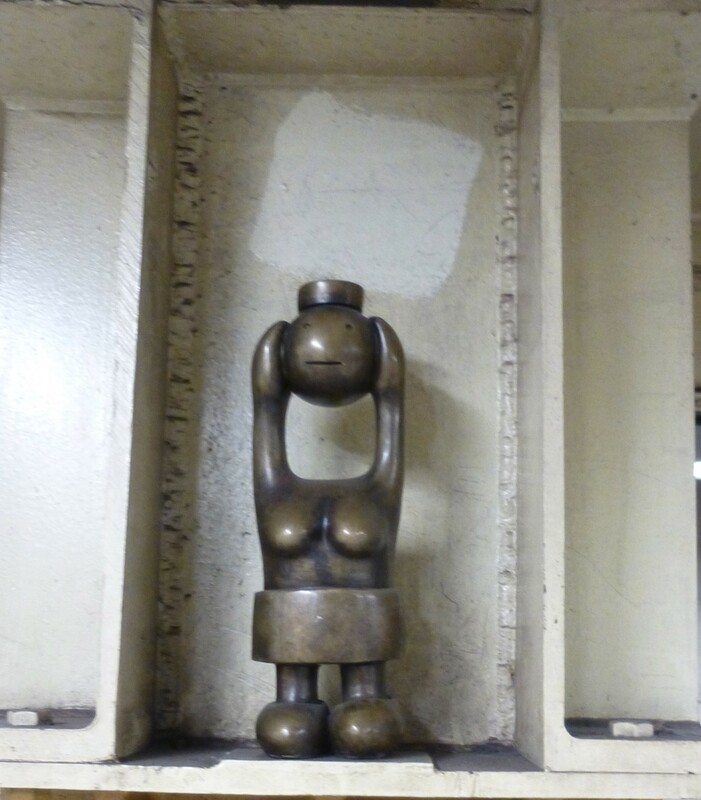 Here, we see that feeling manifested in bronze sculpture by artist Tom Otterness, as part of his urban fantasy sculpture series, Life Underground, found throughout the 8th Avenue and 14th Street Subway station in downtown Manhattan.